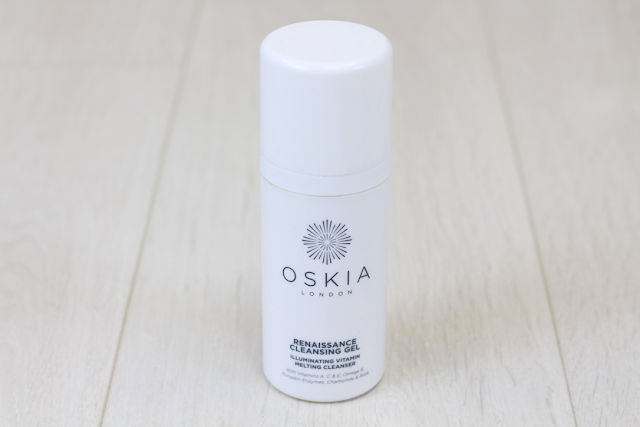 In My Top 15 Beauty Discoveries of 2015 post I featured the Oskia Renaissance Cleansing Gel, but it was the first time I'd mentioned it on this blog and it really deserves a full review. The Oskia Renaissance Cleansing Gel is described as an illuminating, vitamin melting cleanser for all skin types. With a gel to oil formula, it is designed to remove makeup and grime, deep cleanse pores and remove dull and dead skin cells without irritating the skin. Some of the amazing ingredients include Vitamins A, C and E, Omega 6, Starflower Oil, Pumpkin Enzymes, MSM (a form of Sulphur), Chamomile and Rose. A 100ml bottle costs £28.00. The Renaissance Cleansing Gel is the most expensive cleanser I've ever bought, but thankfully I have no regrets about parting with those pennies because it's worth every one. Containing such a powerhouse of ingredients, I use it either in the morning or as my second cleanse at night, so my skin really feels the benefits. With a pump dispenser, I find that one pump of the pink, rosy scented gel is plenty; as you massage it into the skin it literally melts and I love that it doesn't absorb or dry up quickly like some cleansers do. I feel like I could cleanse with it for hours! Add a little water and it emulsifies into a light milk, making it very easy to remove. Afterwards the Renaissance Cleansing Gel leaves my skin feeling soft and nourished and looking fresh and rejuvenated. It is also extremely calming and soothing on any breakouts I have, which is thanks to the ingredient MSM and its anti-inflammatory properties. I honestly can't think of anything negative to say about the Oskia Renaissance Cleansing Gel. 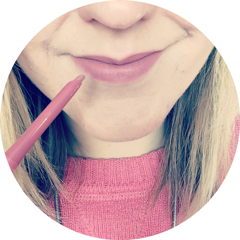 It delivers on all its promises, has a gorgeous formula and is just in general a joy to use. Yes it is on the pricey side, but you need to use so little each time that the bottle lasts for ages; I've had mine for about 4-5 months and with almost daily use it's still going strong! This is officially a rave review. You NEED this cleanser - go treat yourself (link). ARGH I need it but then I don't want to spend the money on it...problem! Damn you're making me want this!